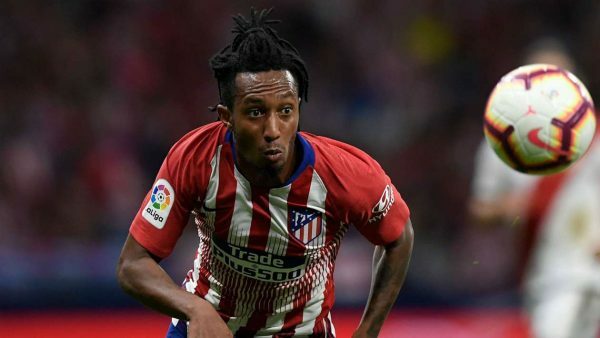 Arsenal will fight Monaco to bring in Atletico Madrid’s Gelson Martins on loan for the rest of the season, report O Globo. The Portuguese looks certain to leave Atletico in January and will now choose between spending the rest of the season in either North London or with Thierry Henry’s Ligue 1 strugglers. Watford is not an attractive enough proposition to tempt Lyon’s Maxwel Cornet, according to L’Equipe. The Premier League club were reportedly willing to offer the 22-year-old attacker a hike in wages, but the Ivory Coast international doesn’t believe in the club’s ‘project’. Diego Godin of Atletico Madrid. 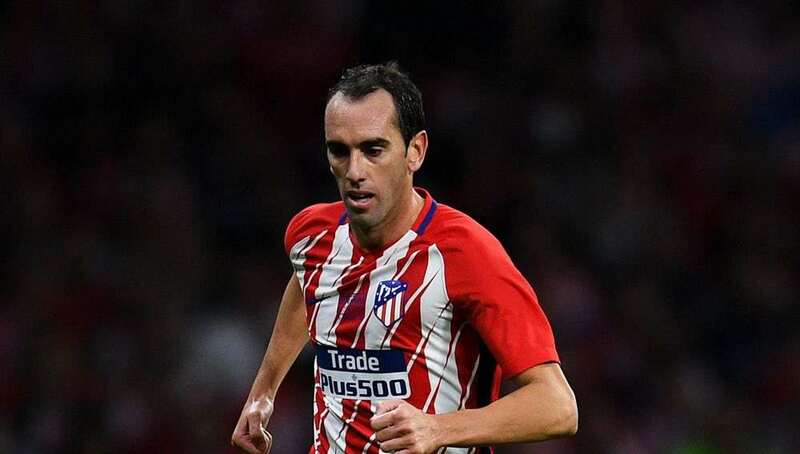 Diego Godin wants to swap La Liga for Serie A and depart Atletico Madrid to join Inter, according to the latter’s CEO Beppe Marotta, per Calcio Mercato. The Uruguay international has spent the past decade of his career in Spain, having initially signed for Villarreal in 2007 before switching to Atletico in 2010. Marotta however is confident that the 32-year-old, who was named in the 2018 World Cup Team of the Tournament last year in Russia, can be lured to the Milan club. Besiktas have made a loan offer to take France youth international Georges-Kevin N’Koudou on a temporary basis from Tottenham, reports L’Equipe. The winger is thought to be currently surplus to plans for Mauricio Pochettino and had previously been linked with a number of clubs back in his homeland. However, the Turkish giants have now emerged as favourites to take N’Koudou away from his current club in North London. FC Nantes will look to replace Emiliano Sala with Marseille striker Valere Germain, according to Le 10 Sport. The 28-year-old has struggled at OM this season and may see a move to their Ligue 1 rivals as a way to revive his campaign. Cardiff City secured a deal for Sala yesterday that has subsequently left Nantes without their number nine of choice up front. 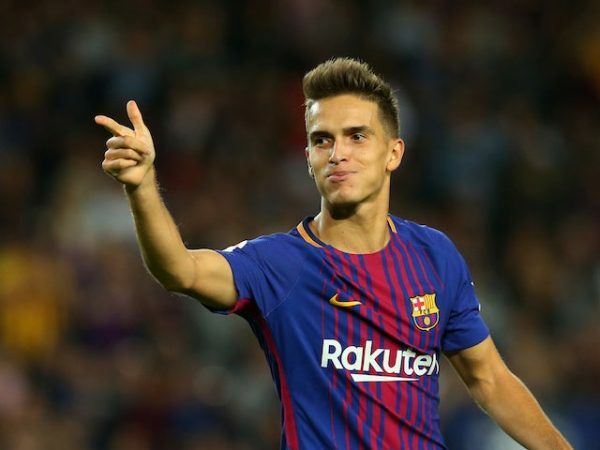 Barcelona winger Denis Suarez appeared to drop a big hint that he is set to make the switch to Arsenal after he liked posts relating to their victory over Chelsea on social media, says the Daily Star. The Spaniard has been linked with a move to the Emirates Stadium in recent weeks, though the Gunners are believed to be only keen on a loan option while the player pursues a permanent deal. After the club’s derby win over the Blues in the Premier League on Saturday however, Suarez took to Instagram where he liked several official posts celebrating Arsenal’s positive result. Arsenal are prepared to offer out-of-favour Mesut Ozil to Bayern Munich as part of a deal to tempt James Rodriguez to England, reports Don Balon. The Colombia international, who is on loan at the Bavarian outfit from Real Madrid, has been heavily linked with an early recall to Los Blancos after growing dissatisfied in Germany. The Gunners hope however to bring him to the Premier League and to offer Ozil, who has been limited in recent weeks under Unai Emery, in return to the Bundesliga holders. 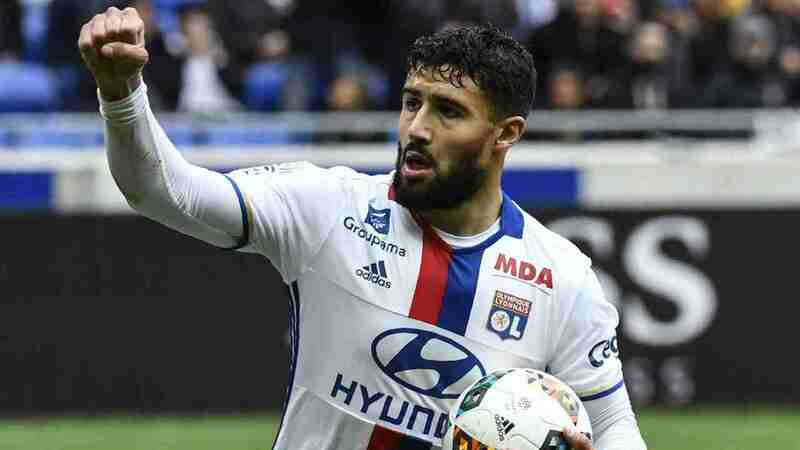 Lyon forward Nabil Fekir says that he expects to make a decision regarding his future closer to the end of the season, according to Le Progres. The Chelsea and Liverpool target has been long linked with a switch to the Premier League but could be set instead to pledge his future to the Ligue 1 outfit he has spent all his senior career with. Fekir was a member of France’s World Cup-winning squad in Russia last year, coming off the bench as a substitute in the final against Croatia. Gonzalo Higuain could be left out of the Milan squad travelling to face Genoa on Monday, as his Chelsea move is imminent. The Rossoneri take on Genoa tomorrow at 14.00 GMT, click here for a match preview. 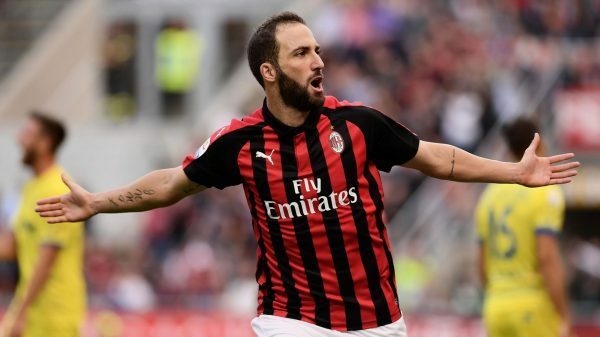 While the deals are believed to be almost done for Higuain to join Chelsea and Milan to replace him with Krzysztof Piatek, the details are not expected to be finalised until at least Tuesday morning. It therefore remains to be seen if Coach Gennaro Gattuso will bring Pipita along to Marassi for the Serie A game, or if he has already made his final appearance in a Rossoneri jersey. Meanwhile, negotiations continue with Genoa over Piatek, as the €35m plus bonuses and a player deal is still being worked out. According to La Gazzetta dello Sport, the Grifone decided against Alen Halilovic and would prefer Andrea Bertolacci as part of the exchange instead. 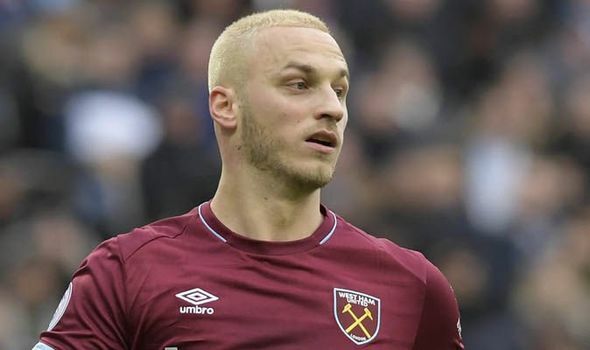 Marko Arnautovic’s move to China from West Ham collapsed on Saturday night after GuangzhouEvergrande pulled out of the proposed £45m deal, according to the Mail on Sunday. The 29-year-old had reportedly been offered £280,000 a week in China, but the club are thought to have decided against a deal for the Austrian. Harry Arter’s loan spell at Cardiff City may be cut short after Bournemouth received transfer bids for the midfielder, according to the Irish Independent. Aston Villa and Watford have reportedly expressed an interest in 29-year-old Arter. WEST HAM IN GOMEZ TALKS? West Ham will continue talks with Celta Vigo this week over a proposed deal for Maxi Gomez, say the Mail on Sunday. The 22-year-old has been targeted as a possible replacement for Marko Arnautovic as he nears a move to China. However, Celta Vigo want Gomez’s £44m release clause having scored nine goals in La Liga this season. Luka Modric says he wants to extend his time with Real Madrid. The Ballon d’Or winner is under contract through 2020 but told reporters that he would like to stay past the end of his current deal. Gonzalo Higuain is set to be among the top five earners in the Premier League when the forward signs with Chelsea, according to The Star. The report claims the Argentine will be earning £270,000-a-week when he signs on loan until the end of the season. 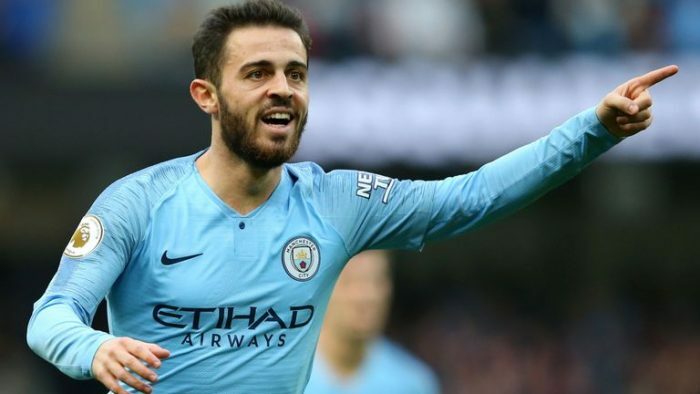 Real Madrid have placed Bernardo Silva on their wishlist as they look for a long-term replacement for midfielder Luka Modric, according to the Daily Star. Manchester City reportedly value Silva at £70m, but are desperate to keep the 24-year-old as a long-term replacement for David Silva. The talk could trigger new contract discussions for Silva at the Etihad. Stadium. The Spanish side are reportedly looking to offload the Brazilian following his £142m move to the Nou Camp from Liverpool last January. He has only started 10 La Liga games this season, with Manchester United also reportedly interested. 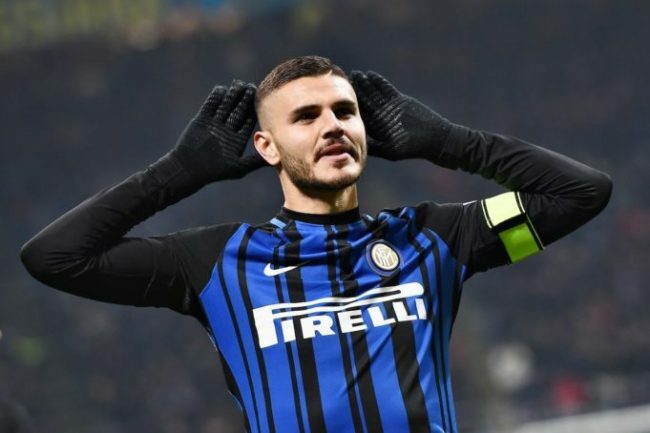 Inter CEO Giuseppe Marotta insisted the club have “no doubts” Mauro Icardi will sign a new contract . The forward has been linked with a move away from the club to the likes of Real Madrid, but the club CEO has now backed his wife and agent’s claim that he would be staying put. “We have no doubts that Mauro Icardi will remain here, as we are happy with him and vice versa,” Marotta told DAZN. With Marco Verratti injured, Paris Saint-Germain are increasingly desperate for Napoli midfielder Allan and have an ingenious new card up their sleeve. La Gazzetta dello Sport suggests they are prepared to triple his current salary at the Stadio San Paolo and the price-tag is around €70m. However, the Corriere dello Sport claims there is an ingenious solution to getting around Financial Fair Play parameters and convincing Napoli to allow the transfer. Rather than a huge lump sum for the transfer fee, Paris Saint-Germain’s Qatari owners would sign a multi-year sponsorship contract worth over €50m. This would provide investment over several years and boost Napoli’s profile, all elements President Aurelio De Laurentiis is looking for.